It is used in the field of bearing , forging, motor vehicle, metallurgy, petroleum industry and machinery etc. As for the precise shearing bar material, we can provide cold shearing line and hot shearing line as required. Shearing plane inclination ≤ 3°, weight deviation ±0.5%. 1) Because of the functions of linkage and interlocking, this equipment can realize the functions of automatic loading and feeding material, automatic shearing, automatic counting finishes, automatic lubricating, and it has the safety protection functions of automatic alarming ,stopping and overload protection in case of insufficient air pressure, motor overload, insufficient lubricating oil, oil-way jamming. 2) The machine body is integral welding structure and it goes through vibration aging treatment, so it has adequate strength and stiffness. 3) Advanced shearing method, it adopts the approximate closed shearing principle. Lateral shearing, it has the necessary material holding mechanism for precise shearing, so the shearing precision is high. 4) No gears transmission noise ,driven smoothly and steady, the blade suffers slight impact force, so the lifetime is about 3 to 4 times as long as the mechanical shearing. 5) Adjustable shearing angle is benefit to shearing the low-carbon steel. 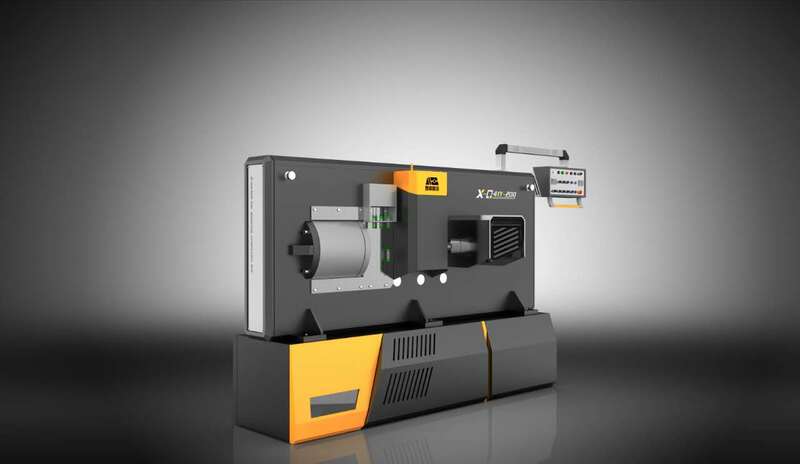 6) It equipped with hydraulic coolant system to improve the working efficiency of the machine. 7) It is used automatic closed, gradual and centralized lubricant system. 8) Verticality of the cold shearing face ≤ 1.5°, weight deviation is restricted in ±0.3%.